"Blown by the Spirit ..... We Know Not Where"
Holy wind that signals your rule, even among us. how to make ourselves managers of the wind. wishing to have it all available to us. We pray toward the wind and wait, unconvinced but wistful. But I personally say, NO! Do not settle for that kind of living. Instead, be "Blown by God toward Newness"
It may be a breeze that cools and comforts. It may be a gust that summons you to notice. It may be a storm that blows you where you have never been before. will abide with you always. Amen. Synod Assembly is less than a month away! Please stop by our display table and meet our Advisory Board and staff! "Must be present to win" raffle for a brand new ASUS Chromebook Flip. Stop by, sign up to win, and have a conversation with us. We want to put faces with names and say "Hello!" We have a new and innovative book, Declaration of the Way: Church, Ministry and Eucharist. This resource celebrates fifty years of international and regional Lutheran-Catholic dialogues and harvests the results of those efforts into Statements of Agreement on the church, ministry and Eucharist. It invites both communions to affirm the unity achieved through these agreements and establish church practices that reflect this growth. Because this is a declaration "on the way" not all differences have been reconciled at this time, but it certainly is a starting point for future openness and change! This book makes a great adult study, affirming and celebrating these Lutheran - Catholic agreements is a step toward greater unity in our neighborhoods and communities. And another new resource, Embracing Stewardship: How to put stewardship at the Heart of your congregation's Life, by Charles R. Lane and Grace Duddy Pomroy. This book will help you strengthen your congregation's stewardship ministry. Mindful of generational perspectives and attuned to the world in which congregations live, this book provides eight pathways your congregation can follow to deepen your members' understanding of themselves as stewards of the bounty of God. 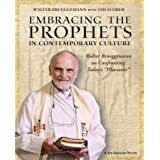 Want a great summer read that will awaken your Lutheran theological heart? Volumes 1 and 2 of the new Annotated Luther, published by Fortress Press. This is a new 6 volume series, only the first 2 volumes are in print at this point, and we have them! Don't miss out on reading these amazing collections of writings! To read them, contact Janet and request The Annotated Luther. Your Synod Resource Center has a masterful 3-volume biography on Martin Luther. Take the Second Commandment: You shall not misuse the name of the Lord your God. but call upon it in every trouble, pray, praise, and give thanks. We will be CLOSED May 25 through June 6.